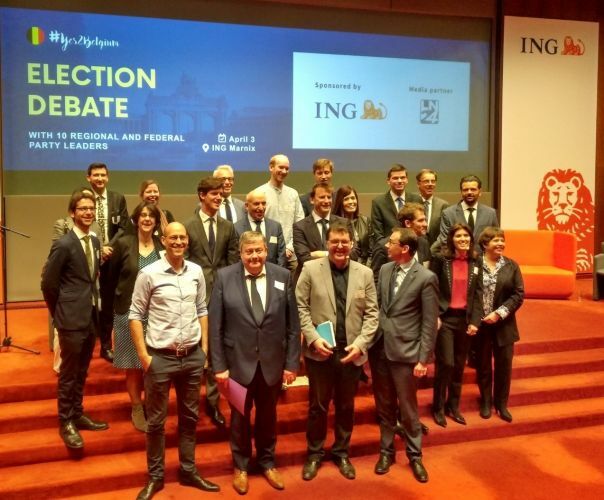 Last April 3 took place the debate about the Belgian elections “#Yes2Belgium Election Debate” at the ING´s Manix Auditorium in Brussels. 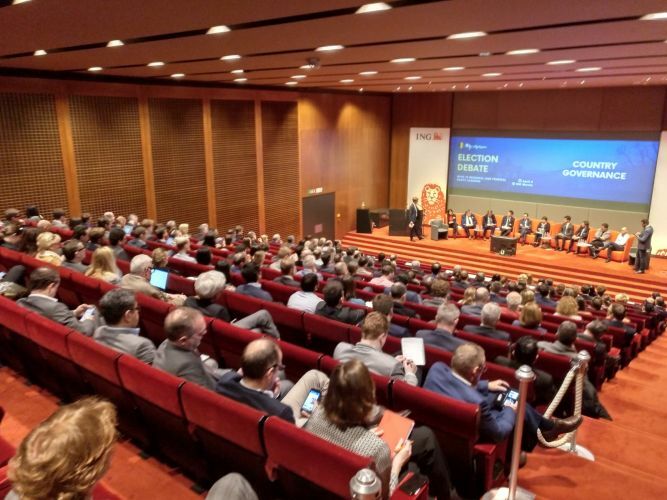 This debate was supported by 12 foreign chambers of commerce in Belgium and is part of their objective to involve their member companies in the upcoming federal, regional and European elections that will take place on May 26. The event featured the participation of prominent personalities from 10 different parties that shared their vision and solutions to the problems that foreign companies identify as a priority; mobility, tax system and competitiveness, labour market and governance. The main topic for discussion was about the possibility to involve the private sector in the management of the Belgian public transports. Even though there was not a consensus on this issue, they agreed that climate change, efficiency in transport and deficient infrastructure are still some of the key problems to tackle. The digitalization and the new transport models such as the autonomous cars were presented as new opportunities to these problems. The imbalance between the increasing demand of qualified workers and the rise of unemployment among less qualified candidates concentrated an important part of the political proposals that presented the training adapted to the market’s needs as main solution. The labour costs remain still a key problem for the companies based in the country. Some of the candidates suggested to adapt the labour costs to the productivity and to move towards an adequate balance between labour flexibility and a solid social security system. The tax system assumed by the companies its perceived as a disadvantage when it comes to positioning Belgium as an attractive country from a tax perspective. Different candidates agreed that the answer can not be national but European, to avoid the fiscal dumping among member states. They also presented different measures to attract investment in different sectors such as renewable energy and new technologies. The participants agreed that the inefficiency as regards to governance is not linked to the system itself but rather on the necessity to improve the collaboration between the different political parties to reach agreements on key national political issues. Different candidates presented the possibility to refederalize certain competences on key topics that require a national answer to avoid inefficiencies. The different political representatives converged on the importance of the foreign investment in the country and the need to generate an attractive framework to foreign companies. The different subjects discussed were considered as crucial to improve the competitiveness of the country and to continue positioning Belgium as a lead country to attract capital and talent.